Please wait while this embedded video loads – you’ll be impressed. You may have seen 360-degree panoramas made of still photographs (like Google Street View) but the one embedded below is a panoramic video. That means you can use your mouse cursor to navigate around the scene even while the video is playing just like you do in an image panorama. This interactive video is from yellowBird, a Netherlands based company that uses a special video camera fitted with six lenses to capture all the possible views simultaneously. The camera footage is then stitched together into a single stream of video using the Flash format that can then be embedded on web pages. 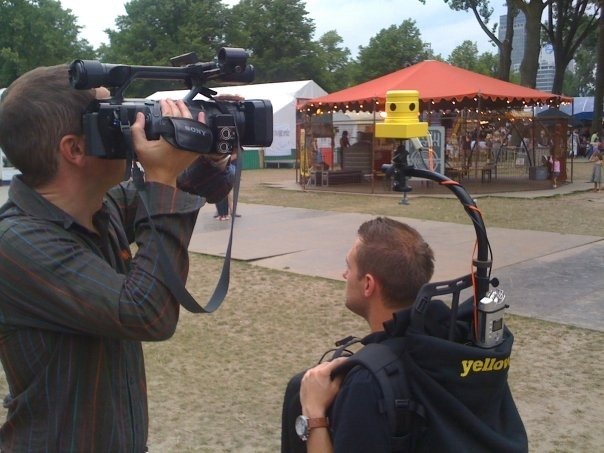 BBC has more on how these virtual video tours are recorded and produced. The technology was recently demonstrated live at TEDx Amsterdam as well though its not available to businesses yet.